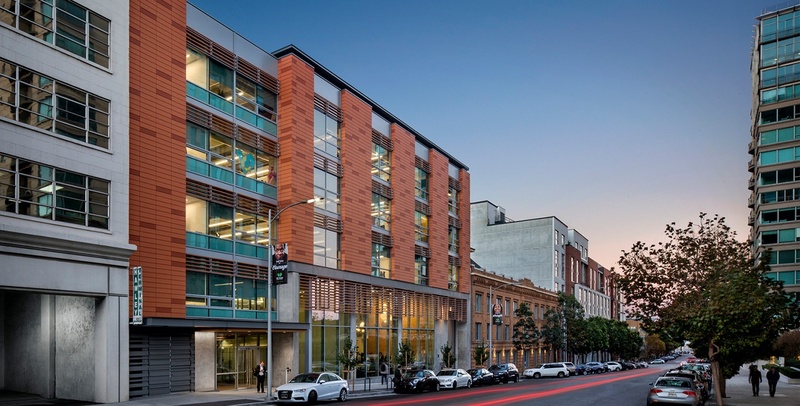 The seven-story, 200,000-square-foot, Class A office building is only the 30th building in San Francisco to achieve LEED Platinum certification. 270 Brannan was designed with an exterior open lobby designed to stay comfortable without conditioning. The building was also designed with the occupant health in mind by deleting all combustion on site (i.e. no use of natural gas) and through the use of a dedicated outside air system, insuring great ventilation to all occupants. Building energy reduction ended up at 27% and water reduction at 36% which resulted in 29% energy cost savings. The building uses a rainwater collection cistern that supports landscape and non-potable fixtures. Interface is currently completing the commissioning and measurement and verification.